Payments available by phone with checking account, and mailed to recipient same day of clearance of check. Gift Certificates are the perfect gift any time of the year! Flexible and convenient, they'll make any recipient happy. They now can be printed or emailed, so don't worry about a last minute gift! 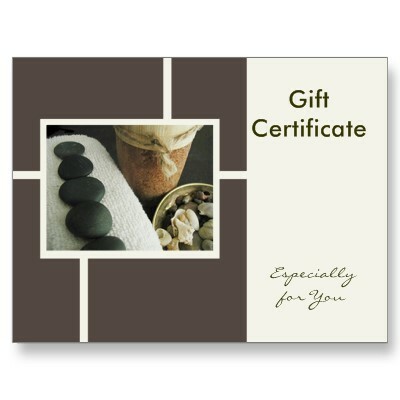 Schedule the appointment or request a Gift Certificate to be picked up or emailed.